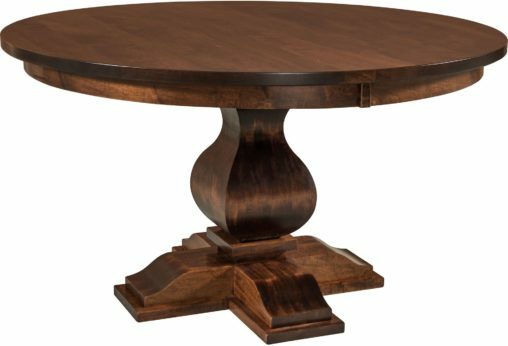 To make it easier to find the dining table of your dreams, we divided our collection of more than 230 dining tables into four categories: pedestal tables, trestle tables, leg tables and miscellaneous tables. 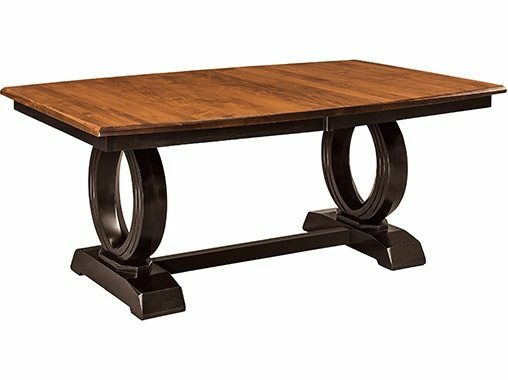 So browse the dining table subcategories, explore your options including rustic dining tables, and zero in on the dining table that’s right for you. 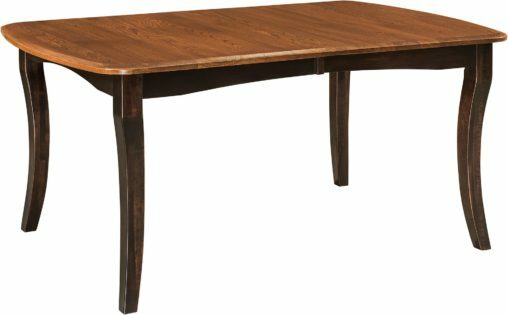 All dining tables from Brandenberry Amish Furniture are built by Amish cabinetmakers using solid hardwoods like maple, oak and cherry. So our Amish dining tables are very sturdy. In fact, the one you select should, with proper care, help keep your family fed and connected for generations to come. Choose your style and custom options. Request a quote. And we’ll respond with a price promptly. Should you decide to place an order, your dining table will be ready in about 10 weeks. 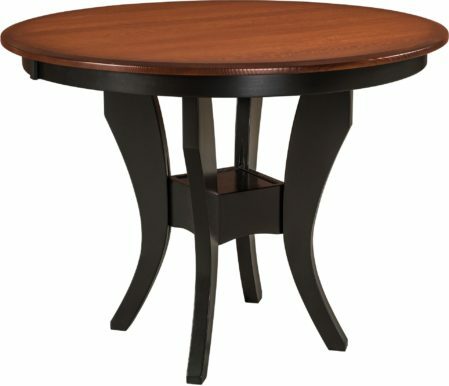 Or visit our Shipshewana, Indina, showroom, and take a table home with you. The tables are easy to transport. But make sure to bring blankets when you visit. We have a large selection of Kitchen Tables. So we’re confident your needs will be met. Plus, our friendly staff will greet you when you drop in to see us.